Tal Bakish is the founder of VocalZoom. Tal is a passionate entrepreneur, experienced in executive management and leading multi-national teams in technology companies. Prior to VocalZoom, Tal worked for Cisco, IBM, ModuMobile and other companies, leading engineering teams and as a consultant. 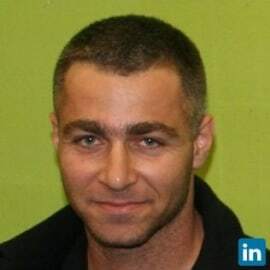 During the 1990s, Tal served as an officer in an elite unit in the Israeli Defense Forces, leading soldiers to combat, as well as leading technical intelligence research. Tal is a co-founder of BioCatch (www.biocatch.com) and an angel investor in other early stage startups.